Washington DC based crusty death/doom band Ilsa has a new album coming out on Baltimore based label A389. DCHM writer Buzzo Jr has written the following review of The Felon’s Claw to give you all the details about the new full length from one of my favorite area bands. As usual we’ve got a couple of songs streaming at the end of the post so give them a listen while you read! Lets get this out of the way quick: No, you’re not the only person who is immediately reminded of Spinal Tap’s infamous and fictional Smell the Glove album when looking at the cover art for The Felon’s Claw. 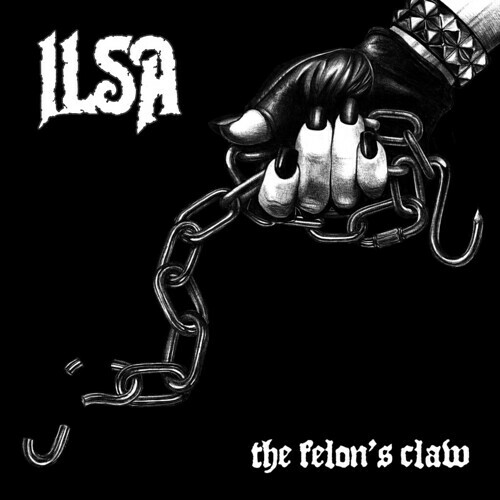 However, the fourth full length from DC’s Ilsa sounds nothing like everyone’s favorite fake British band, but is instead full of Ilsa’s signature crust soaked doom metal. Ilsa is well known for mixing death/doom, with crust punk and d-beat; their previous outputs often alternating between slow doomy passages with one song and then going into frantic punk influenced tracks for the next one. On The Felon’s Claw however, the faster punk influenced tracks are more rare, with only “Oubilette,” “Buried in the Bedrock and Concrete of Our Cities,” and “Armstrong’s Mixture” venturing into full on crust punk territory. The remaining 7 songs are all sludgy doom tracks, with “Katabasis” clocking in at almost 9 minutes. The slow, sinister mood and heavy riffs in these tracks combined with the harsh, high range vocals are sometimes reminiscent of Salome; another great doom band from the DMV area that unfortunately broke up in 2011. I find that I like Ilsa’s faster tracks a bit more than the slower paced songs on this album, since they are packed with much more aggression and energy. Their death metal influences are also more prevalent on the faster tracks, blending perfectly with the punk inspired d-beat drumming. Not to say that the slower tracks aren’t any good; quite the contrary actually. What they lack in speed they greatly make up for in crushing heaviness. A favorite of mine among these slower tracks is “Pandolpho,” which is actually a reimagining of a hymn written by Robert Parsons back in 1572. 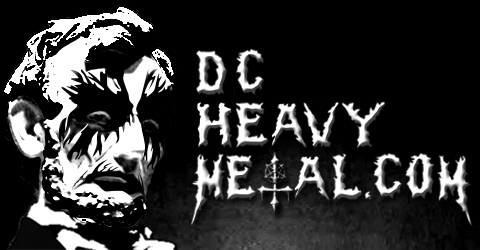 On this track, the band puts their crust and doom influence into a single song; starting off at a slow steady pace and then erupting into a much faster section in the middle, and finally slowing back down to a dirge-like speed at the end. Ilsa’s newest offering is a filthy chunk of crusty death/doom, packed full of great riffs and screams. If you’re looking for a record to play in your dingy basement for a seedy get-together with various lowlives, you won’t find a better one than this.